Today I'm going to share with you the latest blogspot seo script for 2019 that you can install on your blog and boost your ranking. I'm a big fan of Google blogspot, not because i don't have money to buy WordPress hosting. I just love blogspot so much and that is why i love discovering something awesome for my fellow blogspot users. Recently we discussed about Blogspot SEO tutorial for and as if is not enough, I'm here again with the latest and working blogspot seo script that will skyrocket your ranking. A lot of people keep saying that blogspot is for broke people and the seo is dull(lol). Well as for me i don't believe them, seo is not a childish play. If you wants to drive traffic to your blog then you must have the knowledge of SEO, this will help you optimize your blog content very well so that it will rank very well. SEO doesn't matter the platform you are using, even you are using WordPress and you did not follow the procedures you will still slack. As a blogger, you don't have to depend on social media traffic because it's just rubbish. It's good to share your post on social media though but don't make it as your main traffic source. Traffic from search engine is the best and that is why I bring to you this blogspot seo script. 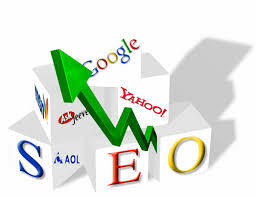 Seo is the process of alerting Google, bing,Yahoo and other search engine about a new blog or post. Search engine optimization is the process of affecting the online visibility of a website or a web page in a web search engines unpaid results-often referred to as "natural", " organic", or "earned" result. So with this little definition you will realize that SEO is a must for every blogger and that is why i want to release this blogspot seo script 2019 to enable you enhance your site visibility on Google. Now you have seen some of the advantages of adding this awesome blogspot seo script to your blog. Let me go ahead and teach you how you can install this seo script on your blog to help you enhance your ranking. 4. Place the below code under it and save your template. How do you see this seo tutorial? 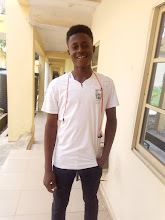 I hope it went well..... Yea that's what my fans enjoy here all the time, dont forget to subscribe on this blog with your email and please don't forget to install this blogspot seo script on your blog.